We aim to provide each and every customer with an accurate repair, restore each vehicle to pre-accident condition, and provide the best customer service in the industry. 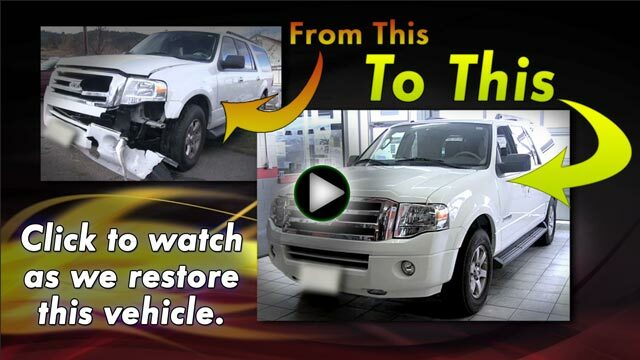 We are so confident in our ability to do so, we guarantee our paint and body work for as long as you own your vehicle. We are a family owned and locally operated auto body and collision repair facility that has been serving the Rogue Valley since 1995. Our paint and body work is performed by highly trained, certified technicians and is backed with a lifetime warranty. We are making strides each day to further protect our environment through the products we use and our disposal of waste. We use Spies Hecker High Solids paint, which is produced with the environment in mind, and is rated #1 with DEQ. Spies Hecker High Solids is a Greentec product and VOC compliant, contains 30% less solvents, and is lead, chromium, and titanium free. When you choose Anderson Auto Body & Paint for your vehicle’s repair needs, we will take you through the Insurance claim process, from crash to completion. We are able to work with all insurance companies, and are a Direct Repair Shop (DRP) for the most prominent insurance companies around. Proud Supporters of the following programs. In order to align ourselves with the community and the many organizations designed to empower and educate our youth, we have partnered with and sponsored various programs to aide in the strengthening of our future communities. Below is a graphic of some of the programs we are involved with.